former gas station, originally uploaded by agilitynut. 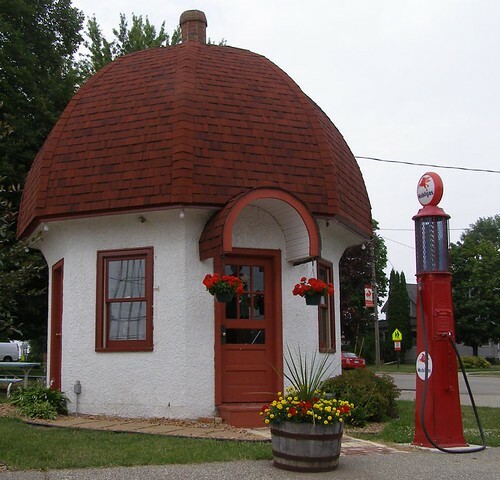 A relic of the past in Dassel, MN (west of Minneapolis on U.S highway 12) that I never knew existed until I found this pic. Architecture has definitely changed. i'd probably hate the good ol days if i lived back then but we should be able to go BACK there from now so we could apprecaite it more.